Adobe has added some nice features to its new, subscription-based, pro-level Photoshop Creative Cloud; it also rolled all of the features of Photoshop Extended into the CC version. 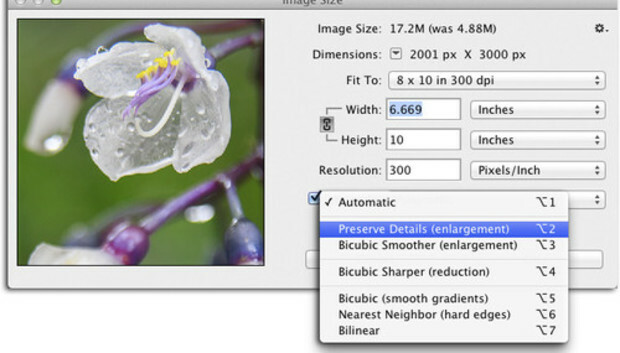 The inclusion of 3D tools aside, http://www.macworld.com/article/2010513/review-photoshop-elements-11-updates-interface-editing-tools.html isn't the most feature-packed release ever, but it has some good stuff, especially in the realm of actions, filters, and enlargements. Unfortunately, Bridge CC, Photoshop's perennial file management sidekick, didn't fare as well--it's had several useful features removed. Photoshop CC, which you download and install locally on your hard drive, fully supports Retina displays (Apple's superhigh-resolution monitors); you'll spot a new 200 percent option in the View menu (which lets you see Web graphics at the size they'll appear in a browser). Several plug-ins also support these crystal-clear displays including Liquify, Save for Web, Merge to HDR, Vanishing Point, Adaptive Wide Angle, Lens Correction, and the Filter Gallery. And look for two tiny new icons at the bottom left of document windows: one for syncing your settings to the Creative Cloud for access on other machines, and one for uploading artwork to the collaborative, online Behance community. One of the most useful new features in Photoshop CC is for conditional actions; it lets you record an action that chooses among previously recorded actions and runs the one that matches criteria you set (in order to account for variables such as document size, color modes, adjustment layers, and so on). The Image Size dialog box was simplified and includes a resizable image preview that lets you see the results of your settings before applying them. And a new Preserve Details interpolation method sharpens areas of fine detail in your image in order to produce higher-quality enlargements (this new method includes a noise-reduction slider, too). Happily, all interpolation methods now have keyboard shortcuts, and the new Fit To drop-down menu has a handy list of size presets. Introduced in Photoshop CS6, the Field Blur, Iris Blur, and Tilt-Shift filters make creating blurry backgrounds easier than ever. In CC, those filters work with Smart Filters, so you can run them nondestructively. They also take advantage of OpenCL, a technology found in newer graphics cards that lets Photoshop tap into the card's processing power whenever it wants. As a result, previewing and applying these filters is noticeably faster. Another useful feature is the availability of the Camera Raw plug-in as a Smart Filter inside Photoshop. And speaking of Camera Raw 8, it sports a new Radial filter that lets you apply adjustments in a circular fashion either from the inside of your image to its edges or vice-versa (like a circular Gradient Filter). You can heal areas that aren't round using Camera Raw's Spot Removal tool, and the new Upright feature lets you correct perspective problems. When merging multiple 32-bit image exposures using Photoshop's Merge to HDR Pro dialog box, a new checkbox lets you automatically create a Smart Object out of the result and then open it in the Camera Raw filter for fine-tuning. While Camera Raw 8 isn't yet Retina-happy, it should be soon. Until Photoshop CC, there wasn't much hope of making a blurry image look sharp. Enter the new Shake Reduction filter, which analyzes your image and traces the pattern of blurry areas in order to eradicate them. It does an incredible job on images that are slightly blurry due to camera shake. Rounding out the improvements in the sharpening realm is the completely redesigned Smart Sharpen filter. It sports a new and improved sharpening method that keeps halos from being introduced around high-contrast edges, a new noise-reduction slider, and a simplified, fully resizable dialog box. The Liquify filter is also enhanced and takes advantage of your graphics card's processing power, so it runs up to 16 times faster (especially on big files). It works with Smart Filters, too, which lets you use it nondestructively on any kind of layer including Shape, Type, and Video layers. Its masking controls were also simplified, it has a new Smooth tool (helpful in making body-sculpting retouches less noticeable), and the new Load Last Mesh button lets you apply the same sculpting to a different image. In previous versions of Photoshop, the Minimum and Maximum filters were notorious for making round details look square; now, by choosing Roundness from the new Preserve drop-down menu, that won't happen. And when you choose Roundness, you can enter decimals into the filters' Radius fields, letting you be more precise when you're using them to contract or expand a layer mask. Photoshop's Shape tools also have improvements. One problem with the Rounded Rectangle tool was that you had to guess at the Radius setting in order to produce the corner roundness you wanted. When you use the tool in Photoshop CC, the Properties panel opens to include four fields you can use to alter the roundness of each corner individually, after you've drawn the shape (these new properties appear when using the Rectangle tool, too). Paths has improvements too. You can activate multiple paths in the Paths panel by Shift- or Command-clicking them, which lets you delete, duplicate, and change their stacking order en masse (you can also Shift-click to activate multiple paths in your document). In addition, you can use the space bar to reposition an anchor point while you're drawing a path. At the top of the Layers panel, a new Selective layer-filtering option lets you view just the currently active (highlighted) layers in your Layers panel. It's handy when your Layers panel is long and you're editing layers that don't necessarily match any of the other layer-filtering criteria, or when you're editing vector-shape paths that overlap. And regarding text: Once you've saved frequently used text formatting as character or paragraph styles, you can use the new Save As Defaults option to make Photoshop automatically add them to new documents and to existing documents that don't contain any styles. You can also activate multiple styles in the Character or Paragraphs panel and delete them all at once. To the delight of Web designers, a new Copy CSS command, available in the shortcut menus of Type and Shape layers, lets you copy color and formatting information into your computer's memory as fully functional CSS code, for pasting into your favorite HTML editor. Also new is the ability to point the Swatches panel to an HTML, CSS, or SVG file and have it automatically generate swatches from the color information inside those files. Photoshop CC has a slew of little changes, as well. For example, the Crop tool now includes a setting that brings back the resolution field in the Options bar. You can now save more than one Photoshop document at the same time, and the Color Range command is better at detecting faces. A new antialiasing option makes text appear as it will in popular Web browsers. The Migrate Presets feature copies over presets that aren't currently loaded in Photoshop and no longer requires a restart; also, metadata and ICC profiles are saved with PNG files. Shape layer thumbnails accurately preview the whole document, while the Color Picker's hex field is automatically highlighted when you open the dialog box. And last but not least, the Brush Preset picker includes a brush tip preview as well as angle and roundness controls (which are also accessible from the Brush tool's shortcut menu). Whew! Bridge CC is now a separate installation from Photoshop CC, making it even less discoverable than before (and you must install it to get the Mini Bridge panel in Photoshop). Also, in order to optimize Bridge CC for "...modern operating systems and display resolutions," Adobe unfortunately removed some useful, relatively new features. The most glaring omission is the Adobe Output Module (AOM) for creating Web galleries and PDFs. And if you go searching for the Export panel--useful in converting multiple images from one format to another and quickly posting images on Flickr and Facebook--you won't find it, either. Also missing is the New Synchronized Window command, which let you have two instances of Bridge open at the same time. Will any of these omitted features return in future versions? Only time will tell, though Adobe says its team is working on a separate, downloadable output solution. While it's understandable for Adobe to focus its efforts on paid products, that's no excuse for the emasculation of Bridge. If your current workflow depends on the AOM, keep using Bridge CS6. But if you're new to the program or have never used those features, you won't miss them, and you'll be pleasantly pleased by the zippier performance of Bridge CC. If you use Photoshop professionally, it's time to subscribe. Like it or not, creative pros are in the realm of rental software now, though this has benefits such as having better cash flow for small businesses thanks to small monthly payments, always having the latest version, syncing preferences and documents for access on other machines, getting feedback on your projects through the Behance community, and so on. (Rental software doesn't require amortization on your tax return either.) And everyone will benefit from having fewer new features released at a time, but more frequently; this should also make them more discoverable. Logic suggests that software engineers, released from a tyrannical 18-month revision cycle, may work better due to reduced stress. However, if you use three Adobe programs, you'll save money by subscribing to the full Creative Cloud (the break-even point on current pricing is at 2.5 programs). That way, designers can explore more programs and thereby diversify their skills, access the Adobe Web font collection, and so on. For photographers and hobbyists, the new features in Photoshop and Camera Raw are certainly useful, though the rental waters are murky. If you use only Photoshop and Lightroom and don't want to explore other programs (say, for video editing), you'll save money by purchasing a single-app subscription to Photoshop for $20 per month and a stand-alone copy of Lightroom for $149. If you use only Photoshop, try Photoshop Elements instead; it's an incredibly powerful, much more user-friendly stand-alone image editor that also includes a slightly limited version of Camera Raw for just $80. Unfortunately, those using Bridge CS6's AOM and/or Export panel should avoid Bridge CC, as, quite honestly, the program is a shameful shadow of its former self.